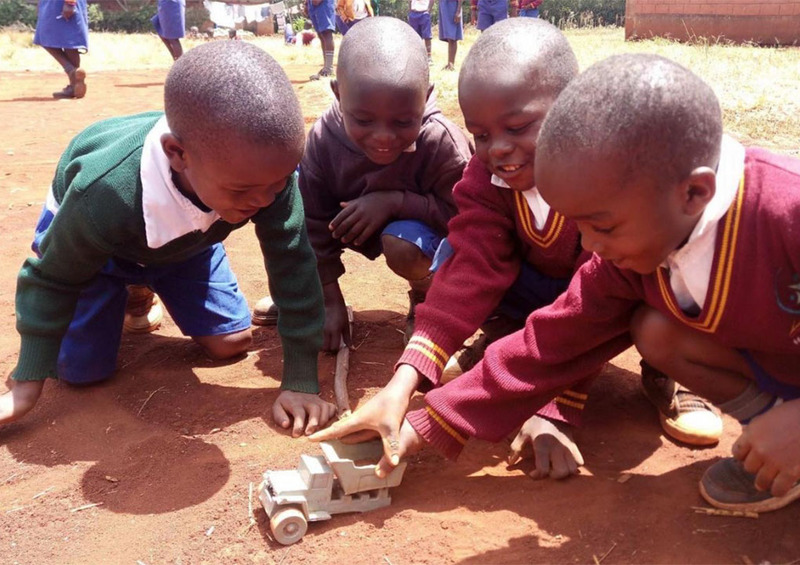 Education Care Projects – Kenya Is opening the door to a brighter future for Kenya’s disadvantaged children. Your donation will enable us to continue our work. Over 95% of Donations goes directly into providing these children with food, education and accommodation. Education Care Projects Kenya helps both boys and girls. Some children were trapped in illegal child marriages. Other children were born as cursed children and miraculously escaped attempts on their lives at birth. Others were the victims of horrendous abuse and injustice. And still more children witnessed things no child should ever see and as a result, they are struggling with post-traumatic stress and all that comes with it. Before ECPK gave them an opportunity, the children had no voice, no choice, no future and lived in darkness. But since joining our program they live in the wonderful light of hope and freedom. Each of our children are enrolled in good schools, have uniforms, books, healthy food and the help of kind encouraging teachers. 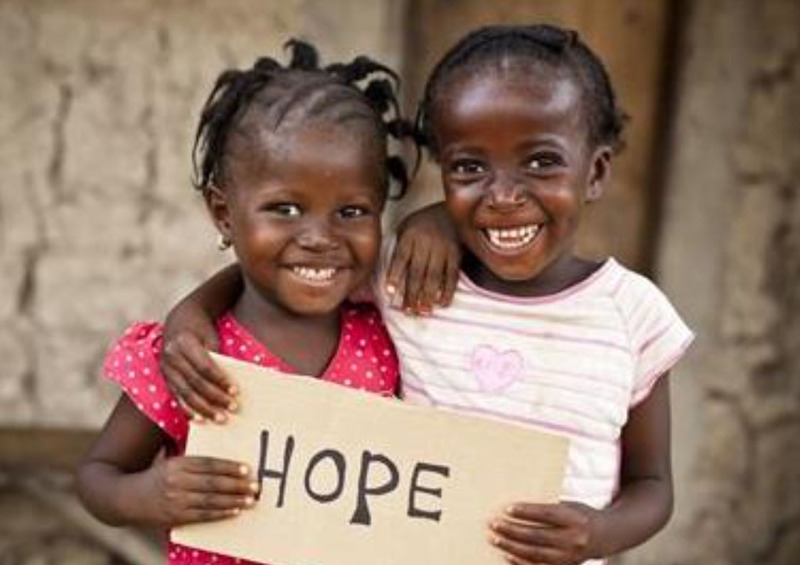 Our children feel they now have a hope and a future. This is the work and the mission of Education Care Projects Kenya. 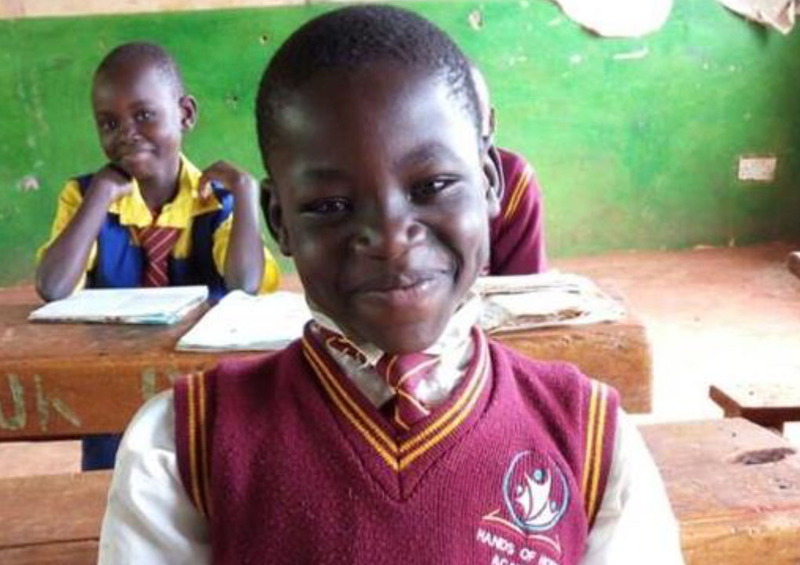 If you choose to partner with us, we say – and God’s children say – thank you! In this newsletter, we would like to reflect on the many blessings from the Lord for which we are truly grateful. Firstly, we are thankful to you! Currently, we have 28 faithful supporters whose regular donations make the work of Education Care Projects Kenya possible. We are thankful for the 21 Maasai students who Joseph has returned to school for another year of education in 2018. We are thankful for Hands of Hope Academy and the 34 students who are studying there this year. We are thankful that four of our students have progressed to university study and are safely enrolled for 2018. So, in total, we are thankful for 59 beautiful young people who have been rescued, and are being cared for and educated because of your compassion and generosity! Unfortunately, one of our boys could not return to school because of trauma that nearly took his life. We are grateful we got him treatment in time to save his life. The three days in hospital was $620 AUD. Please pray for him. We are seeking a donor to fund three months of private tutoring to assist his recovery. If you are one of our 28 wonderful regular supporters, again we thank you! If you would like to support the work of Education Care Projects Kenya, we invite you to partner with us by setting up a monthly contribution. Single time donations are also greatly appreciated. Tax deductable receipts are available upon request. Your generosity saves the lives of many children! For our first ECPK newsletter we would like to tell you about the great life-education ministry of Hands of Hope Academy. 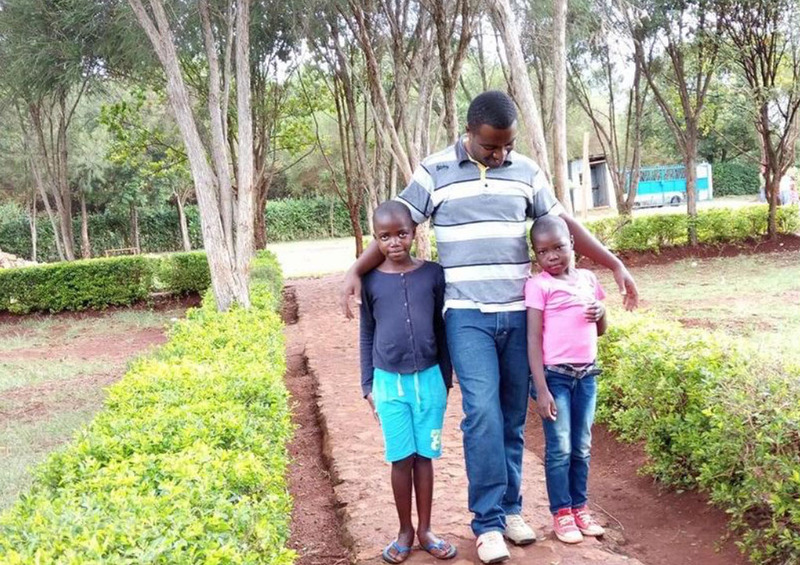 Based on holistic health principals, run by Christian businessman and nurse Nestor Ndayishimiye, Hands of Hope Academy (HOH) operates in a rented school on three acres of rural land outside Eldoret, Kenya. Nestor, originally from Rwanda, is a trustworthy and Godly man. He hires and manages the teachers – ensuring they maintain a healthy Christlike school. The children, many of whom are orphans, are safe and happy as they live in dormitory rooms, are taught their studies, and learn to grow and eat healthy foods. The teachers live on campus alongside the 79 students. Pumpkins, onions, celery, spinach, peas and more are grown on a small patch of garden behind the school. Chickens are raised for eggs and to sell. 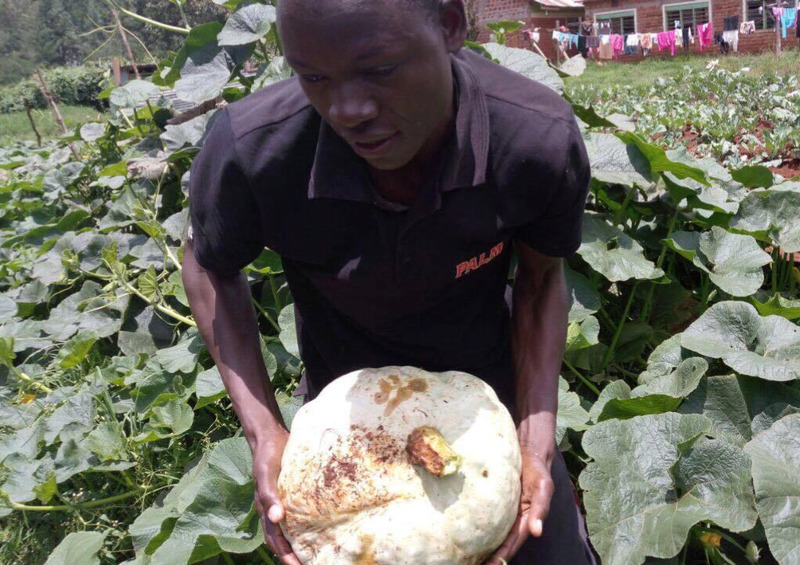 While some of the food eaten by the students is also grown by the students, much of their food is purchased in bulk. Just the maize (the staple of the Kenyan diet) for a year is $5040 AUD. Current donations to HOH will help purchase maize, pay for rent ($7300 AUD) and, if enough is raised, purchase land near the school for farming maize in years to come. Samson (left) is one of many HOH success stories. While some students head into adult life after leaving HOH, many go on to high school and university. 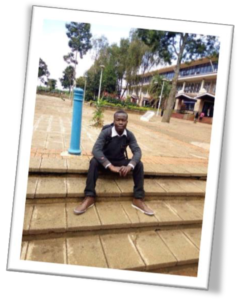 Samson has just headed to university after finishing high school last November. Since graduating, like every summer break previous, Samson returned to Hands of Hope to help care for the children and grounds. There are three more students who are sitting their year 12 exams this year. Samson has decided to study film and sociology. We can see a budding documentary maker! We have finalised the purchasing of 4 acres of beautiful land, on which, the future Enkishon: Emaa Academy will be built. The school will be specifically designed for children recovering from trauma. The teachers will be specially trained and understand the background of each child. We will also have a special trauma counsellor available for the children. The property is fenced and the local community are currently farming the 4 acres until the building of the school will commence. All proceeds raised from the sale of the harvest will go towards the school building program. Our Op Shop is now located in the former North Coast Radiology Building located at 1 River Terrace Mullumbimby, which is the street behind the Mullumbimby Post Office. All funds raised go to help underpriviledged Kenyan children and young adults gain an education in a safe nurturing environment. Quality donations of clothing Bric a Brac, plants, jewellery, books, manchester etc. are gladly received. The only thing we are unable to take is furniture as we do not have space to store it. We need volunteers who love working as a team, tidying, cleaning and making a space look nice. As the end of June approaches please remember the needs of children in Kenya. All donations are fully tax deductible and you will be giving children and young people an opportunity to get an education. This is an opportunity they will not get if people like us do not provide it for them. Don’t believe me? Then please come on my next Kenya trip to see for yourselves. The latest news is very encouraging as John has survived the first operation and will soon begin to have skin grafts. My interest in this case is not only because he is a desperate man in need but he is also the Father of young children who will need to be educated one day and they need him! Thank you to the two kind people who have donated towards the cost of the medical treatment already but I am thinking that we will need more. If you feel that you could help then please do so. If you do not need a tax receipt you may donate at any Westpac Branch into the Education Care Projects – Kenya Account BSB BSB 032539 Account No.438897 BUT If you would like to receive a tax receipt then please click on the link below and fill in the details required and a receipt will be emailed to you. Sadly one of our partners, the Adullam Childrens’s Home has decided to close but we are continuing to support the children’s education. We have three at university, six attending boarding high schools and ten in primary school. The ten primary students are being cared for by families in Webuye and Bungoma. We are so thankful to the sponsors who make it possible for these children to gain an education.